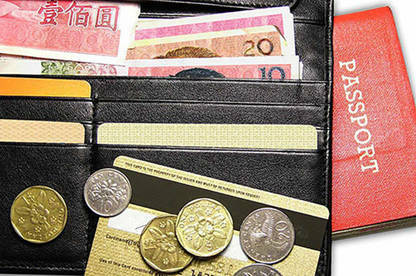 Find the right credit card and work out whether expensive rewards schemes are worth their cost. Personality makes a big difference when it comes to maximising interest free spending, avoiding interest payments and maximising card rewards. Work out whether you're a carefree or savvy spender and get the best credit-card to suit you. Carefree cardholders maintain a constant cycle of debt through regular overspending or episodes of binge spending. Repayment over an extended time period means interest is always being paid. Because the card is never paid off, so-called "free" rewards come at a cost. If you don't pay off your card in full each month you're throwing away money in interest and fees. Minimum payments are designed to benefit the bank – not you. A $4000 debt on a card charging 20.95% could cost you $20,400 in interest to repay if you’re only paying $70 a month. Savvy card users never spend more than they can afford and pay off the card balance in full every month. This ensures they never pay interest. Using credit cards as an alternative to eftpos, cash and cheque payments means you have a large number of transactions – but no transaction fees. If you’re a careful spender and always pay off your bill each month, interest rates won't matter and you have a wide choice of cards and rewards programmes. Check our Rewards calculator for the rewards programme to suit your level of spending. Not interested in reward schemes? Go for a card with no or low annual fees. GUIDE TO THE TABLE INTEREST % - annual interest rate on purchases; FEE $ - the annual credit card fee; FREE DAYS - interest free days on purchases; REWARDS - is this card associated with a rewards scheme? Some cards will have other benefits and fees not shown in this table. Switch to a low-rate card if you've got card debt. You may not even need to change banks. Rewards programmes are a trap if you're not paying off your card in full. The higher fees and interest rates associated with a card that has a rewards programme will most likely outweigh the dollar value of any rewards. Pay in full. Partial payment means you're paying interest. You’re also likely to be charged interest on any new purchases you put on your card and on any fees owing. On top of this, some banks will even charge interest on interest when you don’t pay off your monthly balance. Pay by direct debit. Clear your whole debt in full every month by direct debit and you don't have to remember a thing. Set it up with your bank. what kind of spending the card will be used for. All rewards schemes are designed to encourage spending. So unless you spend heaps on your card – usually more than $25,000 over 2 years – and fully pay off your card at the end of each month, most schemes won’t be worth it. Check our rewards calculator below to find the net value of rewards available for your level of spending. A high rewards rate almost always means a high annual fee, plus an extra fee for being a part of the rewards scheme. Because of this, most of these schemes require spending of more than $12,000 a year to cover their annual fee much less get into positive points territory. If you’re an average or below-average spender, it's best to avoid reward schemes altogether and go for low-interest, low-fee non-rewards cards that can be more easily managed on a monthly basis. 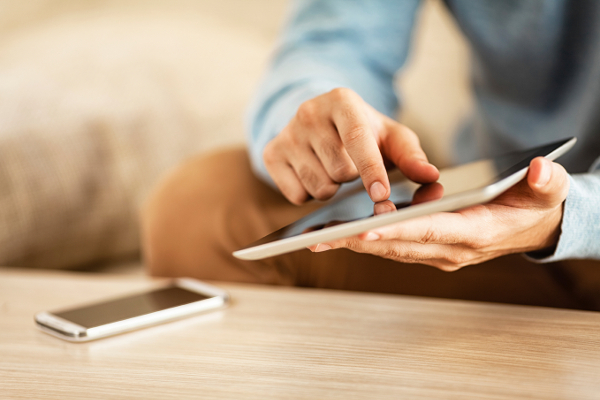 Purchase a digital pass or Consumer membership to calculate your net rewards value for flights, shopping vouchers and cash-back based on your annual spend. Information accurate as at 10 January 2019.
Credit card out of control? 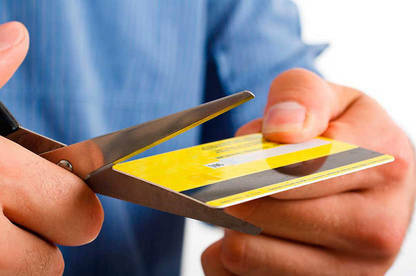 Abuse a credit card, and you can end up bankrupt. If you find you can't control the debt, take prompt action. First, stop using the card. Cut it up if need be. You should then speak to your bank about restructuring the debt. One option is to set up an automatic payment to pay it off. Another is to add it to your mortgage. If you do this, make sure you repay it as soon as possible, or your gains through a lower rate of interest will be undone by the longer time it takes to pay off the debt. Debit cards can be used over the internet just like credit cards and over the counter when you’re overseas, and their annual fees are much lower (in some cases non-existent). As with credit cards, there are extra fees if you use your card for a foreign-currency transaction. But the big difference with a debit card is that it’s like cash: it draws on the money in your bank account, so you’re not getting yourself into debt. If you don’t have a good credit history or have little income it can be difficult to obtain a credit card – debit cards are a lot easier to get. However, you still need to be careful: your bank may allow you to spend a certain amount above what’s in your account, resulting in overdraft fees. You don’t get any rewards on a debit card. You also need to be vigilant about keeping your card secure. Tip: If you always pay off your credit card each month, there may be no real benefit from switching to a debit card. You’ll lose the interest-free period on purchases that you get with a credit card. Tips and traps to watch for. Avoid cash advances: Use a credit card to buy something and you'll get up to 44 or 55 days' free credit (depending on the card). But use it to withdraw money and you'll be paying interest from that same day. It's a very expensive way to get cash. If you want access to cash on the card for an overseas trip, deposit money on the card, and use another card for purchases. (Even if your card is in credit you'll probably be charged an overseas ATM fee. Report lost cards immediately: If you lose your card or something odd appears on your statement, contact the lost card centre immediately. Don't leave your card lying around at home or work. Card payment surcharges: Consumers who pay by cash are effectively subsidising credit-card users. Stores pay a fee to the credit-card company whenever they accept a credit-card payment, but they charge the same price to all customers regardless of the payment method used. Businesses can add a surcharge for those paying by credit card. But the surcharge shouldn’t be any higher than what the retailer pays to the credit-card company. And the basic price for a product should be reduced when a retailer introduces a surcharge on credit-card payments. Lodging security: Make reservations for some hotels and the sum may be charged on your card immediately even if the stay is still months away. Hire a car, and the company may ask your card issuer to reserve an amount of credit to secure its payment. This can cause embarrassment if you don't realise it's happened. If you're likely to have a big bill with a hotel or car hire firm and you give them your credit card details as security, ask if they will be putting a hold on some of your credit, and if so, how much. Credit creep: "Dear Mr/Mrs Smith," the letter begins. "We have arranged to automatically increase your credit limit. If you do not want us to add $500 to your credit limit it is important you let us know right away..." The temptation for many people will be to use the extra money and, if they can't pay it all back within the month, pay the bank more in interest. It's a nasty form of inertia selling by the banks. Our recommendation? Don't let your bank raise your limit beyond an amount you can repay without incurring interest. Chip technology: Chip technology is fast becoming the global standard for card security. A microchip stores your account information in a coded format, rather than on the old magnetic strip on the back of the card. The chips make it harder for someone to fraudulently copy (“skim”) your card details, but it also takes a little longer to pay for your purchases. Tap and go: The attraction with tap and go is the transaction speed – 2 seconds from the moment the card touches against the terminal. There’s no need for card-swiping, entering pin numbers or signing your name for payments of less than a set amount. With most bank-issued credit cards, every purchase you make overseas attracts 2 fees: the bank's currency conversion fee and the fee charged by Visa, Mastercard or American Express. The fees typically add up to 2-3% of the purchase price. So if you put $4000 of bills on the plastic during a big overseas trip, you'll pay $80-$120 in fees. Find out what currency conversion fee your bank charges before you go. Ask the overseas merchant what their conversion fee is before the transaction is processed. If the overseas merchant’s conversion fee is higher, or they won’t tell you, ask to have your credit card charged in the country’s currency rather than NZD. If the merchant insists on charging in NZD, then you have the right to decide whether you want to proceed with the purchase or shop around for a better deal.